Summer vacation is here and the kids are free for a few months. That also means pool parties, fireworks, family vacations, and accidents. Medical experts remind us that during June, July, and August, there is a dramatic increase in children’s injuries. Many of these injuries may be covered by your homeowner’s or renter’s insurance. However, a little bit of prevention will go a long way to making sure your child has a safe and fun summer. If you are planning a vacation, be sure your child has proper ID. Many states now require every child to have some form of identification. More than one in five drowning victims are children 14-years-old and younger, and most of these incidents happen when a child falls into a pool or is left alone in the bathtub. 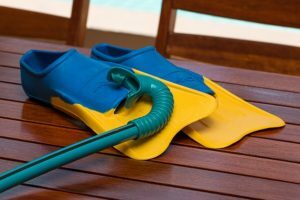 Make sure your child stays away from suction drains in pools. Wearing a life vest is always a good idea when on a river or lake. Make sure pools are always under the supervision of an adult. Home swimming pools should be fully enclosed and securely gated. Hats are good for younger children. Be sure to have sun screen on children at all times. Check to make sure that the surfaces under playground equipment are safe, soft, and well-maintained. Use insect repellents containing DEET. A helmet protects your child from serious injury, and should always be worn. If you are not currently a Leap / Carpenter / Kemps customer, we invite you to talk to one of your many neighbors who are, to see if it might be time for you to change the way that you buy insurance. Let us provide you with a free analysis of your insurance coverage to help you determine if you have the right policies at the right cost. We are here to help!